Feature amazing work done by talented orthopedic surgeon. Share a patient’s experience, and include first hand comments from family. 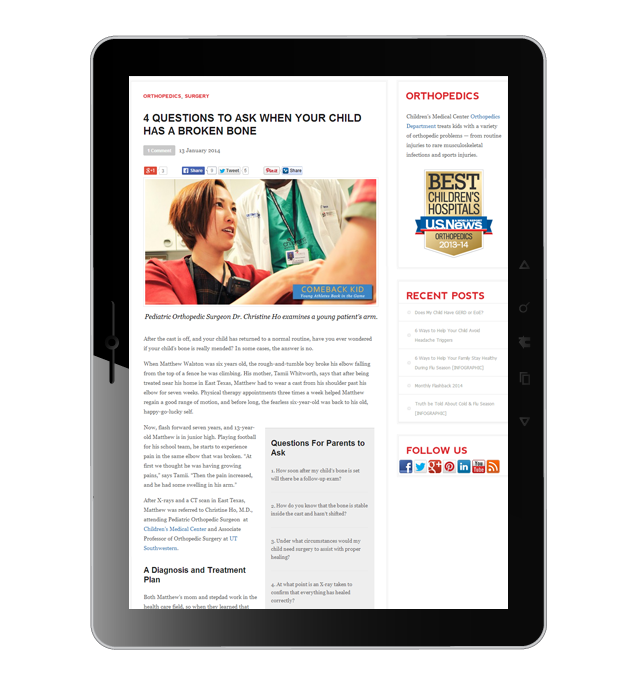 This blog post was written by Janet Davis for Children’s Medical Center. The photo of Dr. Ho with a patient was taken by Louis Curtis for Children’s Medical Center.